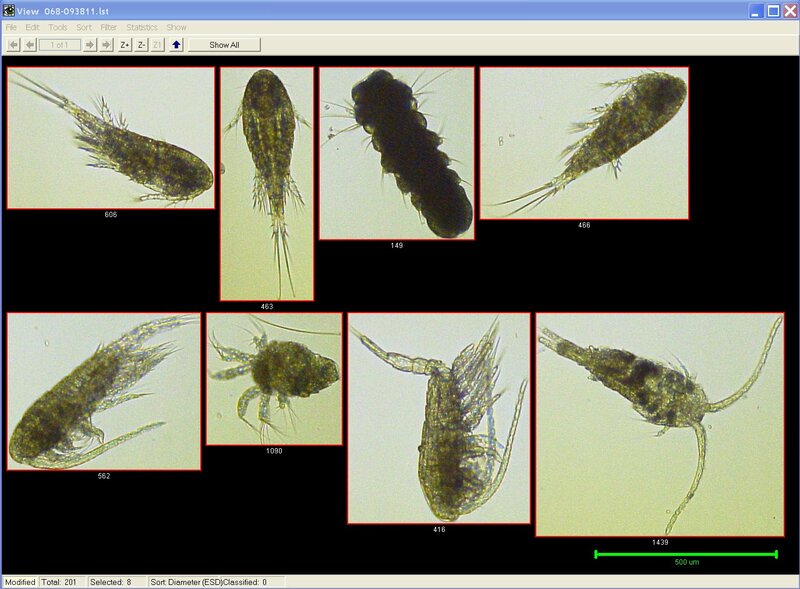 The study of plankton is at the core of oceanographic research across the globe. Identifying species to determine community dynamics is a critical component as it helps us understand marine microbial food webs, ecosystem function, oceanic carbon structure, and responses to environmental conditions. 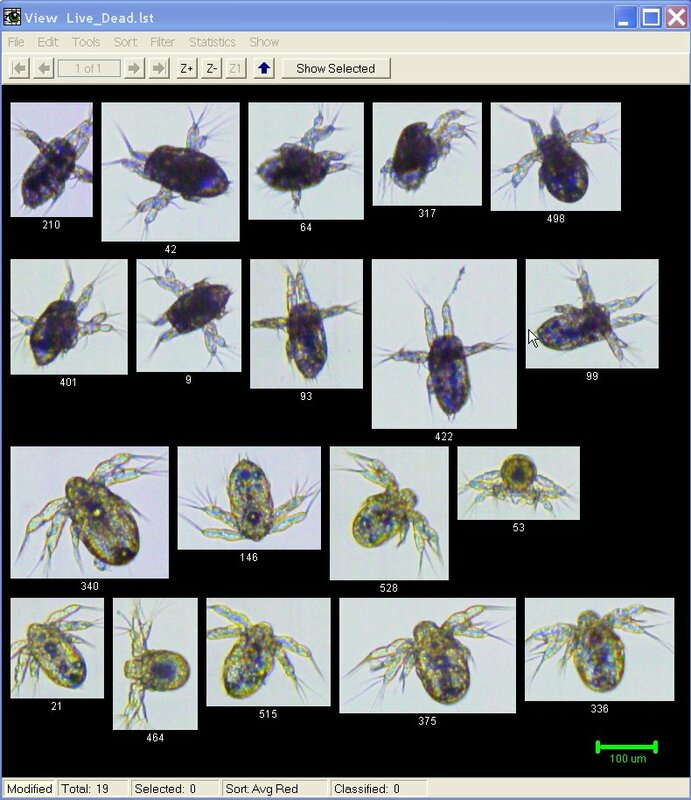 FlowCAM detects and measures marine plankton and particles in a continuous fluid flow. Scientists, researchers and technicians can obtain size, shape, fluorescence and concentration statistics in a fraction of the time required by traditional microscopy. The high speed imaging particle analyzer also provides some of the capabilities of a flow cytometer. A wealth of information is derived from the microscopic images. By acquiring and storing a digital image of each particle detected, different particle types in a heterogeneous sample can be automatically identified, differentiated and quantified. 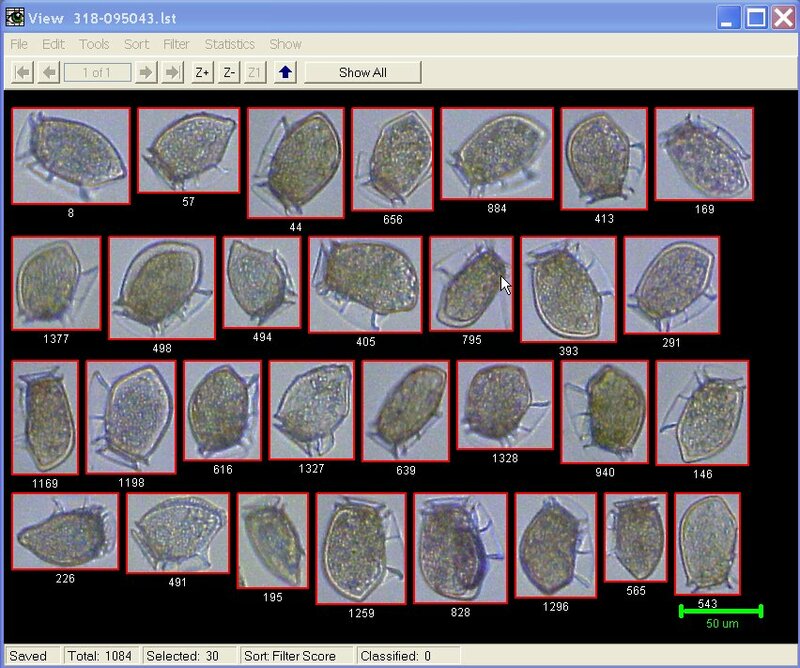 FlowCAM® acquires high resolution microscopic images at a very rapid rate; typically up to 10,000 images/minute. 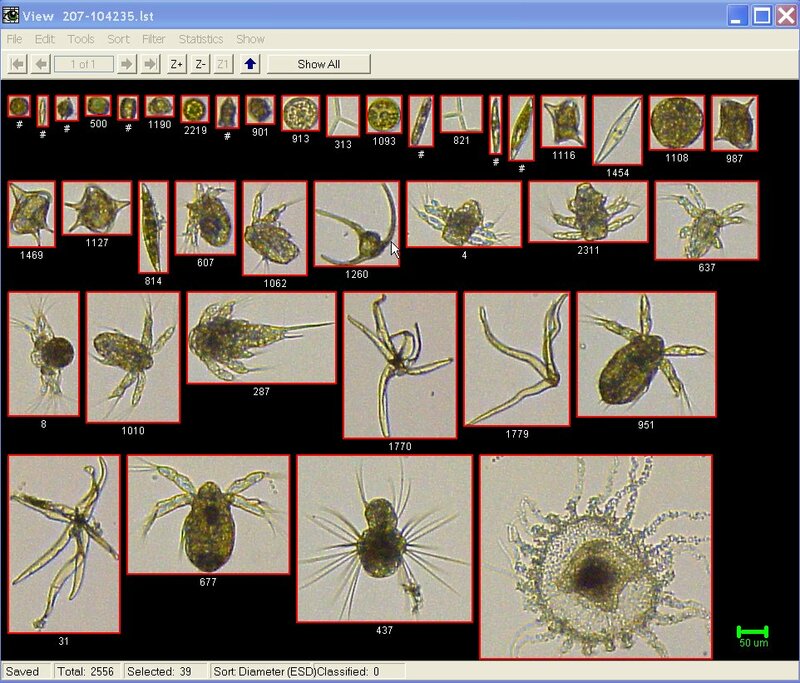 The intuitive VisualSpreadsheet© analysis software uses proprietary methods that allow the user to sort, filter and classify particle images interactively. The FlowCAM can be equipped with a cross-polarized illumination option (patent pending) which can be used to detect larval-stage invasive mussel species such as Zebra and Quaggamussels. Since the skeletons of these organisms are calcareous, they will exhibit birefringence under cross-polarized light as shown in the image below. Using the FlowCAM with cross-polarization to detect invasive species of mussels is extremely simple, saves enormous amounts of time and eliminates the human error that may be introduced through manual microscopy. 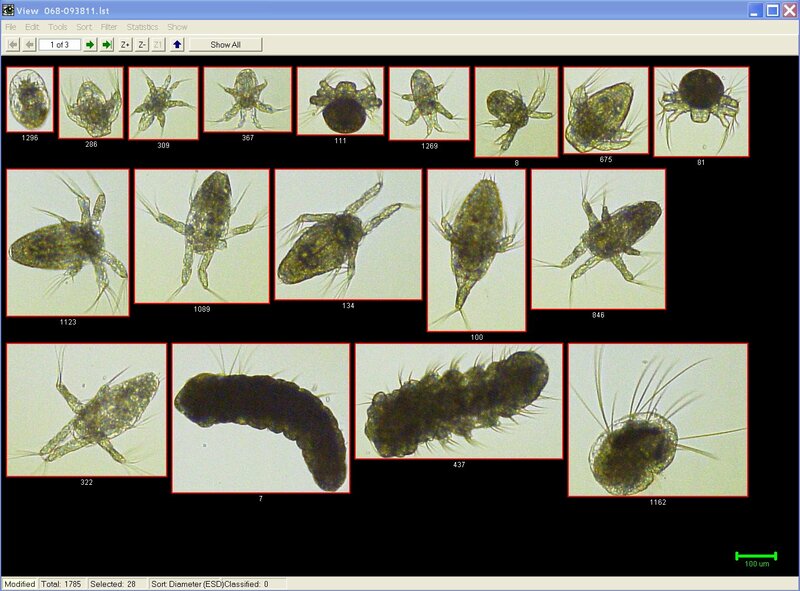 Because this technique detects the larval stage (veligers) of the species, it provides for significantly earlier detection of these invasive species. Additionally, since the FlowCAM images a moving stream of sample, it has the capability to process much larger quantities of sample in a very short time, enabling detection of very sparse populations. things as microfossils and diatoms has spurred increasing levels of research involving looking at these objects. FlowCAM is being used by several researchers to aid in the pursuit of characterizing paleoclimates. a tremendous improvement in time savings associated with this type of analysis.